Have You Ever Been on a Bad Hunt with a Guide? You’ve spent good money to hunt with a guide in a choice location. You expect to have a great time, a safe hunt, clean and comfortable accommodations and a reasonable shot at success. You expect the guide to do everything in his/her power to increase your odds for taking a shot, but things aren’t going as you’d hoped. Perhaps the location is not what was promised. Maybe you feel the guide isn’t giving it their all, or the accommodations are subpar. So what do you do? Are you simply at the mercy of the guide and the outfitter service that employed him? Do you just say goodbye to your money and hopes for a great experience? Not at all. Fred Eichler, Realtree prostaffer and owner of Fulldraw Outfitters, says there are steps you can take when your expectations aren’t met, but first, he recommends taking steps to prevent the problems before they ever happen. Eichler has a unique perspective because he’s not only been a client of paid outfitters but he also runs an outfitting business in Colorado, where he guides for whitetail, mule deer, elk, bear, mountain lion, antelope and turkey. He suggests doing research before giving your hard-earned money to any outfitter. “Before booking the hunt, make sure the guide is an expert on the game you want to pursue and the land you want to hunt,” Eichler said. Eichler recommends questioning the local game warden in the area about the outfitter or guide before booking a hunt. If the game warden seems hesitant or suggests you keep looking, then do just that. You’ll also want to check references. To ensure your expectations are met, you must first ensure your expectations are clear. The hunter should be up front and honest with the guide about what he wants to get out of the hunt, and the guide should be up front and honest with the hunter about what he can provide. Mike Stroff, Realtree pro staffer and host of “Savage Outdoors,” said if the hunter wants a trophy buck, then that’s what he should tell the guide. In return, the guide should tell the hunter whether or not that is a possibility. 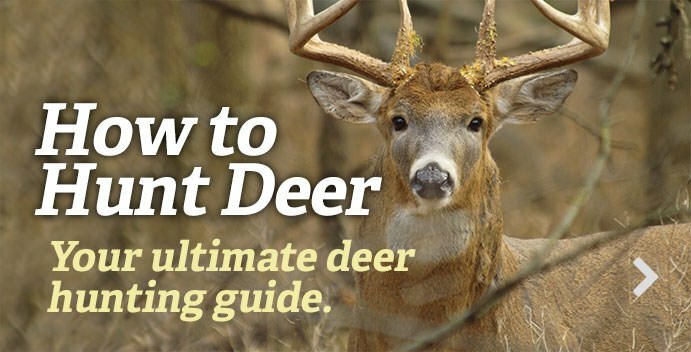 If the guide only has 120- to 150-class deer on the property, then he should make sure the hunter understands that. The hunter should also make sure the agreement is put in writing so there is little chance for a misunderstanding. In addition to truthfulness, hunters must also have realistic expectations. Bone Collector Nick Mundt agrees with Stroff and encourages hunters to remember the guide is only in charge of the variables he can control, such as providing you with good food, a comfortable place to sleep, a reliable and clean vehicle for transportation and a safe location to hunt. But, guides can’t control the weather, animal movement, wind, etc. Eichler says many hunters expect to get a shot at an animal or to take one home during a guided hunt, but that just isn’t always the case. Weather, moon phase, rut activity and agricultural crops can all change animals’ patterns. “In some cases, no matter how hard you and your guide may work, and no matter how good the area may be, it just doesn’t happen,” Eichler said. But, harvesting an animal doesn’t necessarily determine whether or not you had a good hunt. If you’ve had a great time, hunted in a solid location, enjoyed tasty food and your guide has gone above and beyond to try to get you an animal, then you’ve little to complain about. Tagging out is just the icing on the cake. Stroff says it’s also important that the hunter be prepared, both physically and mentally. In fact, it’s just as important for the hunter to do his homework as it is for the guide to do his. The hunter should practice with his firearm or bow before he arrives to camp. He should make sure his gun is sighted in, and he needs to be able to execute the shot when the opportunity presents itself. Stroff also reminds potential clients that they often pay for what they get. So, let’s say you did your homework, were honest with your guide and had realistic expectations, but things still went poorly. What should you do? Stroff says to speak up immediately. Raise concerns when it becomes apparent that your guide is not doing what he/she’s been paid to do. For example, if he hasn’t done his scouting, doesn’t know where the game is, refuses to move your treestand when needed, isn't sharing trail camera info with you, or if they make you feel uncomfortable in any way, then you should address the issue. Don’t worry about making someone angry or uncomfortable by complaining. If you made your expectations clear, and the guide is not delivering on those expectations, then you have every right to complain. You’ve paid for a service and you deserve to get what you paid for. Mundt says to first try to talk to your guide. If that doesn’t work, go to the outfitter or whoever is in charge. Sometimes, a problem arises not necessarily because the guide did something wrong, but because there’s just a personality conflict. So, what if the problem is much more than a personality issue. What if the guide tries to get you to do something that makes you feel uncomfortable or that is even illegal? Mundt says the answer to that is simple, don’t do it. For that reason, you should read up on the game laws for the area before the hunt. That way, you can know when the guide is wanting you to do something you shouldn’t, and you will not have to depend on someone else’s judgement, for which you could pay dearly. The good thing is, most guided hunts go off without any major hitches. Most guides are knowledgeable, hard-working and more than willing to go above and beyond to make your hunt a success. If you have reasonable expectations, have made them known and have done your research before booking your hunt, chances are you’ll have a good experience. But, if you feel you’re not getting what you paid for, don’t hesitate to bring up your concerns and take action. After all, you’re the paying client and you deserve the service you were promised.